News and updates about events that have happened at Gladstone Manor or announcements that affect residents of Gladstone Manor. Various data points indicate that Lansdowne is ready for change. Demographics have evolved over the last decade as more people are moving to urban areas with town centers. Based on surveys conducted by the Lansdowne Economic Development Corporation and the Lansdowne Business and Professionals Association, 80% of those polled said they would support a referendum allowing restaurants to sell beer, wine, and spirits. In 2015, 85% of those voting on the referendum to allow a special entertainment license for the Lansdowne Theater voted in favor of liquor reform. 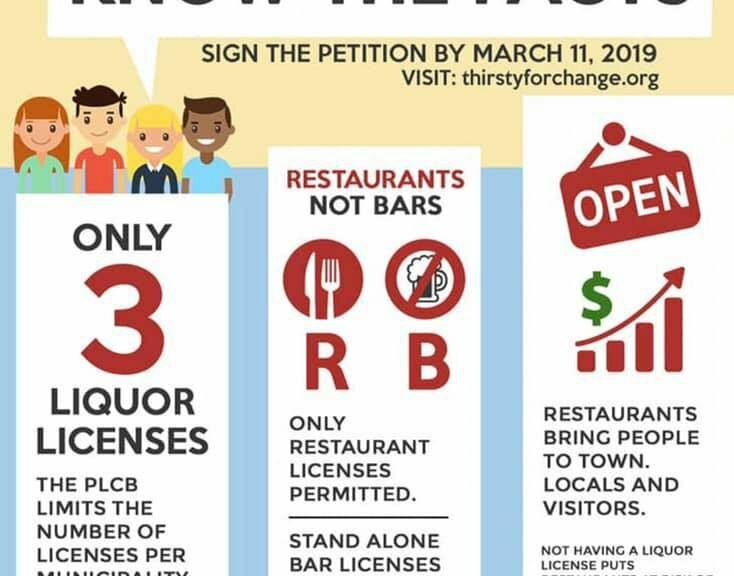 Liquor laws can only be changed by voter referendum. Residents must sign a petition to place a referendum question on the ballot for the May 21, 2019 primary election. Approximately 1,400 registered Lansdowne voters must sign a petition between February 19, 2019 through March 11, 2019 for it to move onto the the May, 2019 primary ballot for a vote. 3) Liquor laws can only be changed by voter referendum. Approximately 1,400 registered Lansdowne voters must sign a petition by March 11, 2019 to place a referendum question on the ballot for the May primary election. Gladstone Manor neighbors, more information about the Homestead/ Farmstead Exclusion Program and Tax Savings details are posted at the Delaware County Homestead/ Farmstead Exclusion Program page. If you’re interested in the Homestead/Farmstead program or are not setup, the application form for the program can be obtained by contacting the William Penn School District Business Office or by emailing Jeff Cuff ([email protected]) /Janet Shaiko ([email protected]).